Learn to catch errors before they reach the end user with automated tests! Write maintainable tests for your React applications using the popular Jest testing framework. You'll also see how much of your code is covered in tests, test your React components with the react-testing library and write end-to-end tests with Cypress and the cypress-testing library. Join Kent and learn how to test your code in-depth. This course is for developers who want to gain confidence in shipping bug-free React applications to production! Kent discusses what a test is and reviews the different types of testing. Kent introduces a simple React component test and exercise. After installing Jest and adding a test script, Kent makes the Babel configuration dynamic to transpile modules for the test. Kent shows that JSDOM is loaded by default in Jest. If not needed, the test environment can be configured to be Node instead. If webpack loaders exist, Kent shows how to configure Jest to be able to load CSS files. Kent takes questions from students. Kent shows how to use identity-obj-proxy to simulate CSS Module imports with Jest. Kent installs a babel plugin to transform dynamic imports to something that can be run in Node that Jest understands. After adding code coverage reporting with --coverage flag, Kent shows how to fine-tune coverage reporting only to include files desired and to set a threshold to acceptable levels of coverage. When configuring Jest watch mode, which allows runs tests related to only the files that have changed, Kent shows that watch mode also allows the running of all the tests matching a specific pattern by the file name or the test name. Kent takes questions from students. Kent discusses the steps that occurred to configure Jest for a standard React application. Kent takes questions from students. 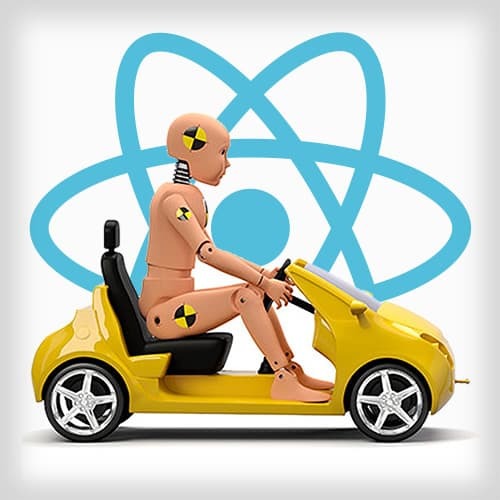 Kent walks through the files to get set up for testing React components. Kent introduces the exercise to for testing a simple React form. Kent walks through solution to the Test Form Component Exercise for testing for the simple React form login component. Kent takes questions from students. In this exercise, students use react-testing-library to render and simulate top-level methods and getByText and getByLabelText test selector methods. Kent walks through the solution to the react-testing-library Exercise. Kent takes questions from students. In this exercise, students use react-testing-library to render our React component into the document to use real events rather than simulated events in our tests. Kent walks through the solution to Using Dom Events Exercise. Kent answers questions from students about testing with setTimeout, checking state of components, broad vs. specific unit tests, and more. In this exercise, students set up for snapshot serializers to include CSS in the snapshot. Kent walks through the solution for Snapshot Testing Exercise. Kent reviews the course integration test demonstration for a registration form. After reviewing utility file for testing applications, Kent demonstrates setting up an integration test. In this exercise, students work on creating the login test. Kent walks through the solution for the Integration Tests Exercise. Kent answers questions from students. After reviewing steps to configure and using Cypress, Kent shows how to automate the testing. Kent takes questions from students about installing extensions with Cypress and cross-browser support of Cypress. In this exercise, students set up Cypress testing on the login form. Kent walks through the solution to the Configuring Cypress Exercise. Then Kent answers students' questions.